R. Shane Tubbs, M.S., PA-C., Ph.D. Since the first use of the term “tethered spinal cord,” most clinicians have accepted that the spinal cord must be caudally displaced. 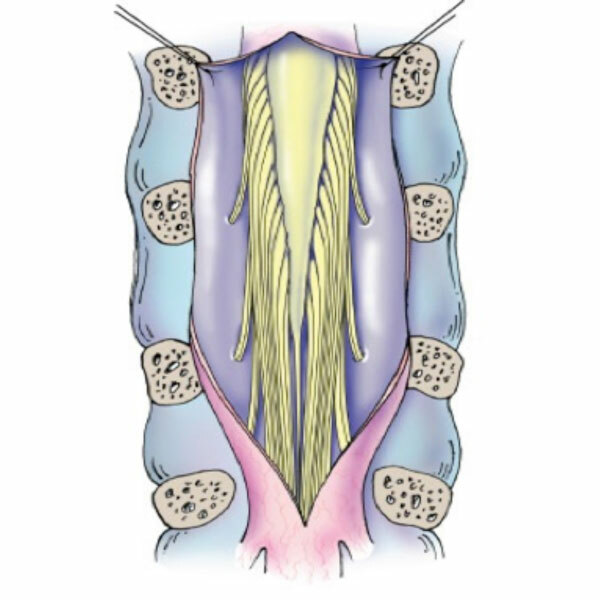 The majority of neurosurgeons agree that a conus medullaris that terminates inferior to the L2 vertebral level is abnormally low and thus tethered when patients have symptoms of lower spinal cord dysfunction. However, the authors have previously described a small series of patients in whom symptoms of a tethered spinal cord were evident clinically (35), yet on imaging studies, their conus was found to lie at a widely acceptable normal anatomical level. In fact, a review of the literature preceding that publication in 1993 revealed that several authors had operated on patients for symptoms of a tethered spinal cord in whom the conus was found, retrospectively or prospectively, to terminate at a “normal” vertebral level (12, 18). Justifying surgical treatment for bona fide symptoms of a tethered cord under these circumstances seems appropriate when one considers that some surgeons advocate operative intervention for patients who are asymptomatic and are merely found to have fat within the filum terminale (15, 17, 28). Of importance is where the “normal” conus should terminate (20, 27, 31, 32). Whereas to some, a conus positioned below the L1-L2 disk space is considered abnormally low, others contend that a ‘low’ conus should terminate below the inferior border of L2 (3, 5, 7, 8, 14, 34). In the ultrasound literature, one group concluded that a conus termination at the L3 level is indeterminate for abnormality (24, 26). This is confounded by the fact that, at times, the conus has no definite tip. Instead, it gradually tapers to a very thick filum. By contrast, Yamada et al. (40) described an ‘intraoperative’ definition of conus termination corresponding to the location of the lowest coccygeal nerves. Imaging can be normal with TCS: Symptoms of a tethered cord may present in patients with a conus in normal position on imaging studies. Small proportion of patients with TCS: According to some authors, this group of patients may respond well to filum transection but makes up a very small proportion of the patient population with tethered cords (9, 16, 17, 19). Difficult to define surgical indications: A big part of the challenge is to determine which symptom constellation should be considered appropriate for surgical filum release. All other potential causes for symptoms must be excluded prior to making this diagnosis.